Max. capacity ( length x thickness): 6" x 16 gauge. Packing size: 96.6" x 44" x 15". Net Weight: 638LBS, Shipping weight: 792 LBS. 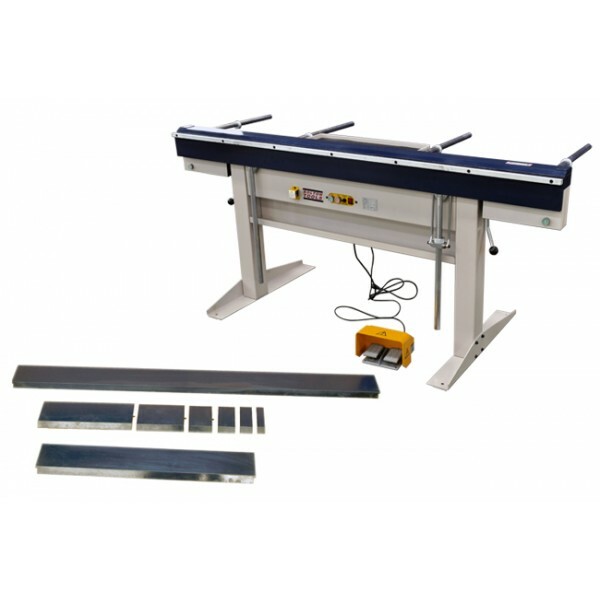 The magnetic sheet brake can bend boxes or pans to almost any depth, as it is not reliant on conventional finger depths.